These are the items that were included on the "Late Breaking Website News" page in 1999. Items are listed with the most recent one first, and each article carries the posting date indicating when it was first uploaded. You should find this an interesting look at the important Shroud and Website events in 1999. I always start working on these updates with the best of intentions, planning to include as much new information as possible and reduce the size of the massive backlog I have accumulated. But it seems to always come down to the last minute with me desperately trying to get 'just one more thing' onto the site and realizing I have once again run out of time. And such is the case with this, the last update of the year, the century and the millennium. As I write this, I feel the pressure of knowing that it is already January 1, 2000 in more than half of the world. In this amazing age of mass communications, we can actually watch the millennium arrive in every time zone on the planet! Knowing it will arrive in the Los Angeles area in less than six hours is my signal to keep this short and get it online. So here it is. The next update will be on January 21, 2000, the fourth anniversary of the Shroud of Turin Website. To mark the occasion, I am planning a large update that will include more papers and presentations from the Richmond '99 and Dallas '98 Conferences, a long delayed update to the "Links To More Information Page", and much, much more. With the upcoming Shroud Exhibition, the year 2000 is going to be a major year for Sindonology. I want to take this opportunity to thank all of the viewers of this website in 143 countries around the world for your continued support. Without you, there would be no need for this site. And to the hundreds of scientists, researchers, scholars, theologians, artists, photographers and historians who have allowed me to include their work here and share it with the world, I send you my deepest and sincerest thanks. My warmest regards to you all. May good health and good fortune be yours in the year 2000 and beyond. I am very pleased to announce that the Archdiocese of Turin Official Shroud Website has been updated to include an Online Reservation System. (Sorry. Link no longer available). This allows viewers to make reservations over the Internet to see the Shroud when it is next exhibited, from August 26 through Oct 22, 2000. This link is to the English language version, but the entire site, including the reservation system, is also available in Italian and French language versions. You can also find links to the Archdiocese Website on the "Links to More Information" page and the Reservation System on the "Shroud Exhibitions" page of this site. The system also allows viewers to make reservations to see some of the other major attractions that will be available in Turin during the Exposition. Although reservations weren't absolutely required for 1998's exhibition, they certainly made the wait in line shorter and ensured that you would see the Shroud when you wanted to. I urge everyone to make their reservations as early as possible. Reservation information is provided for private individuals, groups and associations, religious organizations, professional travel agencies and tour operators. 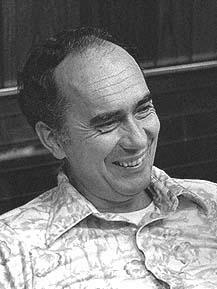 I am deeply saddened to report that Roger A. Morris, original member of the STURP team that examined the Shroud in 1978, died on November 10, 1999 at his home in White Rock, New Mexico, after a short illness. He worked as a physicist at Los Alamos National Laboratory from 1961 until his retirement in December 1997. Services were held on Saturday, November 13, 1999 at Bethlehem Evangelical Lutheran Church in Los Alamos, New Mexico. Roger is survived by his wife Kay Morris, their five children, his brother and his aunt. As a fellow member of the STURP team, I had the pleasure of working with Roger over a number of years and will always feel fortunate to have done so. I remember him as a gentleman in the truest sense of the word, for he was truly a 'gentle' man. I wish to thank fellow STURP team member Larry Schwalbe, a close personal friend of Roger's, for notifying me and more importantly, for allowing me to reprint part of the letter he wrote me regarding Roger. I think his words beautifully capture what we all felt about our friend and colleague. Many of you will remember Roger as an enthusiastic and dedicated scientist and as an effective team leader. Roger's contribution to Shroud research was significant: in the early 1980s, he published reports on the direct x-ray fluorescence and radiographic measurements that he, together with Ron London and Bill Mottern, conducted on the Shroud. I met Roger originally and got to know him only a few months before the Turin expedition took place. For the next 5 years, I continued working under his supervision in the Nondestructive Testing group. Roger retired from the Laboratory only a year and a half ago. He and his family have remained close friends for 23 years. My wife and I miss Roger and won't ever forget him. The "Shroud of Turin Booklist" and the "Collegamento pro Sindone Index" pages have both been updated. My thanks to Jose Portillio of Torreón Coah., Mexico and Emanuela and Maurizio Marinelli of Rome, Italy for providing the new information. The CPS Index is the complete index to the Collegamento pro Sindone's noted publication of the same name, starting with its first issue in 1985 to the the most recent, and can be searched either alphabetically or by year. I recently received an interesting paper titled The Language and Sensibility of Research Papers in Sindonology from Agnes Sam of South Africa, discussing the language and semantics used by sindonologists. Written by one who has obviously spent considerable time reading the available literature on the Shroud, I found the article offered a unique perspective on Shroud research and have added it to the "Scientific Papers & Articles" page of the site. Agnes suggests there has been a lack of consistency in the language sindonologists use to describe the 'man' on the Shroud, and consequently, a resulting lack of respect for the spiritual and religious aspects of the image. In the article she recommends the adoption of a style sheet to encourage this consistency and presents her own suggestions to sindonologists for just such a style sheet. Agnes is open to discuss her ideas with interested viewers and encourages scholars to write her directly with their comments. I am pleased to announce the latest update from Kate Kelly to the "Friends of Shroud.com" page of the website. As many of you know, Kate and her husband Bill Kelly head the Public Relations Committee for Friends of Shroud.com. I am also thrilled to announce the addition of the new "Friends of Shroud.com Contributors Page" where supporters can find their contributions listed. I want to thank Kate and Bill for their wonderful efforts on behalf of Friends of Shroud.com and most importantly, I want to express my deepest gratitude to those of you have have contributed. With your assistance this website will continue to grow and provide the best information about the Shroud of Turin on the Internet, while remaining free of advertising. The year 2000 is shaping up to be a banner one for new television programs about the Shroud of Turin. There are no less than five new documentaries currently in production that are either entirely or in part about the Shroud. 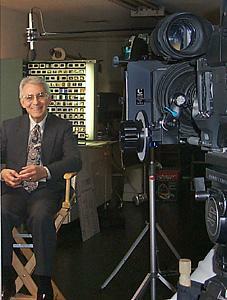 A sixth program is already completed and will air for the first time on The Learning Channel on Sunday, January 2, 2000. This program is titled "The Ultimate 10 Unexplained Mysteries" and features the Shroud in one of the segments. It is scheduled to air at 10:00 p.m. but as always, check your local listings to be sure. In recent weeks, PAX-TV has been airing "Uncovering the Truth About Jesus," a two part, two-hour long documentary that updates the "Ancient Mysteries of the Bible" program produced about the Shroud in 1993. It discusses the historical evidence about Jesus and uses the Shroud as a key element in telling the story. Interviews with forty scientists, historians and theological scholars make for a fascinating program that is both scientifically and spiritually enlightening. This program has aired a number of times and will probably be shown again in 2000. Once again, watch your local listings. Another new program devoted entirely to the Shroud is a one hour episode of the History Channel's well known "History's Mysteries" series. I can speak about this one first hand as the production crew spent a day here in my studio taping interviews with noted Shroud historians Rev. 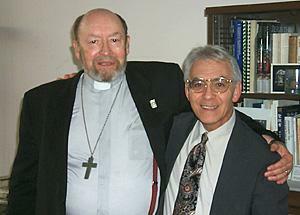 Albert "Kim" Dreisbach and Professor Dan Scavone. With participants including Dr. John and Rebecca Jackson, Prof. Steven Mattingly, Prof. Harry Gove, Don Lynn, Dr. Fred Zugibe, Dr. Emily Craig, Dr. August Accetta and many others, it should prove to be an excellent program. It is scheduled to air sometime next year. Of course, thanks to the filming, I got the opportunity to add another photograph to my "Gallery of Visitors to the Shroud of Turin Website" and more importantly, the great pleasure of spending some time with two of my dearest friends and colleagues. Another Learning Channel program called "Sacred Treasures" is also well under way as are new productions for the Sci-Fi Channel and a Japanese television network. We can also expect some of the other high quality Shroud documentaries produced in recent years to air again in conjunction with the upcoming eight-week Shroud Exhibition. Coupled with the news media coverage sure to be focused on that and other events of the Jubilee Year, the year 2000 will undoubtedly provide an extraordinary number of opportunities to see the Shroud on television. The latest message from Kate and Bill Kelly has just been added to the "Friends of Shroud.com" page of the site. Click on the link to read the latest news about this recently-formed non-profit organization dedicated to supporting this website, along with some excellent tips on how you can become a participant. Whether you are a regular viewer of this site or this is your first visit, if you like what you've seen, this page will give you important information on how you can help guide this website into the 21st century and ensure it continues to grow and flourish. I am pleased to announce that the "Orvieto Worldwide Conference" page of this website has been updated to include a link to the "Sindone 2000" Website, where you can obtain detailed information about the conference scheduled for August 27, 28, 29, 2000, in beautiful Orvieto, Italy, the heart of Italian wine country. The conference, already in the planning stages, is one of a number of featured events planned to coincide with the opening of the Year 2000 Shroud Exhibition on August 26, 2000. The "Orvieto Worldwide Conference" page also includes a number of color photographs of the Palazo del Capitano del Popolo, the spectacular, restored medieval castle in which the conference will be held. Once the names of the attendees and the topics of their papers are announced by the organizing committee, they also will be listed on this page. I am planning to include one more website update before the end of this year, probably in late December. I had hoped to do more updates over the last few weeks, but unfortunately, other responsibilities have made that impossible. As many of you know, I built and maintain this website in my "spare" time and am still obligated to accommodate my professional clients when necessary. Such is the case at the moment, so there will only be time for one more update before the year 2000. We'll do our best to make it a good one, so please keep watching. I am pleased to announce that the "Website Store" page has been updated to include a Special Holiday Gift for website viewers. Click on the link to find out how you can get a FREE 8½" x 11" lithograph of the face on the Shroud. This gift is available for a limited time only and the offer expires on December 31, 1999, so check the page soon. This is a small token of my appreciation to thank you for your support of this website. You will also find many Shroud books, videos, photographs, slides and prints available directly from a number of different sources, and they too make great holiday gifts. I am pleased to report that Friends of Shroud.com is making good progress in setting up its organizational structure and completing the paperwork necessary for it to proceed. I wish to thank those of you who have taken the time to write to me or to Kate and Bill Kelly, our Public Relations Committee, with your words of encouragement and support. They are truly appreciated. Watch the next update of the website for more news about the organization and visit the Friends of Shroud.com page of this site for details if you haven't already done so. I am very pleased to announce that we have added the complete text of five papers to the Richmond Conference page of the site. These were all originally presented at the June 1999 conference and are the first of many we hope to include on this website in future updates. This first group includes the presentations made by Dr. Alan Adler, Jack Markwardt, Peter Schumacher, Barrie Schwortz and Ian Wilson. In addition, there is a link to the paper presented by Bryan Walsh, the founder of the Richmond Shroud Center that sponsored the event. We are currently working on the next group of papers and hope to include them in about two weeks. To read the papers, go to the Conference Schedule portion of the Richmond Conference page and scroll through articles. The titles of the available articles are highlighted and linked. Just click on the title to open the article. Remember that you will need to have the free, Acrobat Reader software installed on your computer to read many of the articles. If you don't have it yet, read "An Important Word About Formats" on the Shroud Library page of the site. (Sorry. Link no longer available). It includes a link to Adobe's website where you can download the free program. Once you have downloaded and properly installed the Reader, you will be able to read any Acrobat .pdf format file you encounter, on the Internet or anywhere else. On November 24, 1973, and again on October 8, 1978, Swiss criminologist Dr. Max Frei used sticky tape to remove surface debris from the Shroud of Turin (see the "Shroud History" page for details). His preliminary findings included the identification of a number of pollens, some of which he claimed were indigenous only to the mideast. Since he was not a palynologist by profession, his work was criticized by some and ignored by others, and as a result, never received broad acceptance. Frei continued his studies but was destined never to complete them. He died in 1983 before finishing the book he was writing that documented his pollen studies of the Shroud. Three years later, five of his tape samples and two copies of his unpublished manuscript were delivered by Frei's widow to Paul Maloney at the Association of Scientists and Scholars International for the Shroud of Turin, Inc. (ASSIST) , an American Shroud research group. In 1988 the entire collection was brought from Europe and samples were collectively and formally examined in detail at a meeting at the Academy of Natural Science in Philadelphia. Among the researchers present were Dr. Alan Adler and Walter McCrone. In addition to pollens and fabric particles, the tapes contained a surprising proportion of plant parts and floral debris, suggesting that actual flowers were laid on the Shroud at some time during its history. Within months, the results of the highly publicized carbon 14 analysis were released, bringing most serious Shroud research to a halt worldwide. It was during this somewhat bleak period in Shroud research that Dr. Alan Whanger and his wife Mary Whanger, co-founders of the Council For The Study of the Shroud of Turin (CSST), obtained the entire Frei Collection. The Whangers were already well known for their development of a polarized light overlay technique that allows visual comparison of the Shroud image to paintings and other images. Over the next few years they obtained the necessary equipment and enlisted the aid of Israeli botanist Dr. Avinoam Danin, an expert in mideastern plants, to help study the Frei samples. In an effort to carefully identify and accurately catalog the pollens on the tape samples, they chose Dr. Uri Baruch, a reknown Israeli expert in mideastern pollens and spores (palynologist), who had already taken a public stand against the validity of Frei's earlier conclusions. In June 1998, Dr. Danin presented an abstract summarizing the group's work at the Third International Congress for the Study of the Shroud in Turin, Italy, titled "The Origin of the Shroud of Turin From the Near East as Evidenced by Plant Images And By Pollen Grains." Apparently, after cataloging the pollens and examining the evidence for himself, Dr. Baruch had changed his earlier opinion. The abstract has been available on the website for some time. Since speaker's presentations were limited to only ten minutes at the symposium, Dr. Danin was not able to deliver the full paper. Since then, the work has continued and he, Dr. Baruch and the Whangers have completely updated the paper. I am pleased to announce that the full and updated version, titled "Floristic Indicators for the Origin of the Shroud of Turin" is now available in Acrobat (.pdf format) on this website. You will find links to it on the "Scientific Papers & Articles" and the "1998 Turin Symposium" pages as well as all of the appropriate places on the "Shroud Library" page of the site. The only thing that has not yet been included in the article are the photographs and illustrations. These are being processed and will be included in an updated .pdf file in the very near future. I felt it was important to get this material online as quickly as possible, since there has been much coverage of the pollen data in the popular press over the last few months. And that brings us to the most recent developments in the pollen research. In August of 1999, a peer reviewed article titled, "Flora of the Shroud of Turin" by Danin, Baruch and the Whangers was published by the Missouri Botanical Garden Press, a highly respected international botanical scientific press. Not only does the article document the pollen evidence they discovered on the Shroud in detail, but it also presents their somewhat more controversial observations of actual flower images on the cloth. There has been some criticism of these findings by a number of imaging experts in recent months, and it appears that any future spectral imaging analysis done on the cloth will have to look specifically at these image areas and confirm their existence by independent scientific tests before they are broadly accepted. Without question however, this definitive pollen evidence is very significant in that it completely supports the theory that the Shroud was in the mideast at some point in its history. Yet, nowhere in its documented history back to the early 1300's has the Shroud ever left western Europe. This implies that the cloth was in the mideast at some earlier period in time. However, the results of the carbon dating tests of 1988 claim 1325 as the earliest possible date for the cloth. Coupled with all of the other evidence that points to its existence prior to 1325, one must conclude that the results of the 1988 carbon dating analysis of the Shroud are inaccurate. This makes the pollen work of Danin, Baruch and the Whangers very significant indeed. The website continues to draw visitors from around the world, now averaging visits from 75 different countries per week! I have recently added another new entry to the "List of Countries That Have Visited This Website" page, which now includes 143 countries. Our most recent additions is a first visit from Nepal. I would like to welcome our new viewers to the website and thank all of you for your continued participation and encouragement. On Friday, June 18, 1999, the Shroud of Turin International Research Conference opened to a full auditorium of more than 300 visitors who came to hear some of the top sindonolgists in the world present their latest research on the Shroud of Turin. Meeting on the beautiful grounds of Mary Mother of the Church Abbey near Richmond, Virginia, the three day event was sponsored by the Shroud of Turin Center, founded by Bryan Walsh and located at the abbey. Special thanks are extended to Bryan and Diana Fulbright for their excellent organizing skills in planning the successful event and to Abbot Benedict R. McDermott, who was kind enough to welcome such a massive influx of people to the otherwise quiet and tranquil grounds. The beautiful abbey, nestled into the wooded Virginia countryside, provided the perfect setting for the meeting. The 1999 Richmond Conference page has now been added to the Shroud Conferences & Symposia page of this site. There you can read an Overview of the Conference (with photographs) and find a complete list of presenters and their topics, along with a photograph of each. In the next update the entire text and images of many of the presentations will be added to the page. The website continues to draw visitors from around the world, now averaging visits from 75 different countries per week! I have recently added two new entries to the "List of Countries That Have Visited This Website" page, which now includes 142 countries. Our most recent additions are first visits from Djibouti and Lesotho. I would like to welcome our new viewers to the website and thank all of you for your continued participation and encouragement. I am pleased to announce that we have added another noted Shroud lecturer to the "Speakers Directory" page of the website. John Iannone is the latest to be added to this page where viewers can select from a diverse group of speakers for their organizations or groups. If you are an active Shroud lecturer and are interested in being listed on the page, read the "Obtaining a Listing" section at the bottom of the page for detailed instructions. The "Dreamland" Radio Program will air a 2 1/2 hour interview "Is The Shroud Of Turin Authentic?" scheduled 9:30 P.M. to Midnight (Eastern Standard Time) on Sunday, October 24, 1999. Dreamland Host Whitley Strieber will interview guest speaker John C. Iannone, Shroud lecturer and author of The Mystery of the Shroud of Turin: New Scientific Evidence. The program will air on over 300 radio stations around the United States and Canada, (estimated 7 million listeners). A list of the radio station AM call letters indexed by city and state may be found by going to www.artbell.com (no longer available) and typing in "stations." Make sure to double check your local listings for exact times and stations. 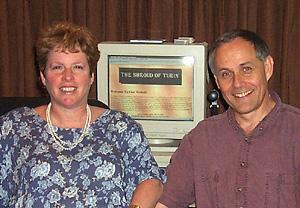 On July 30, 1999 I was honored to have John and Rebecca Jackson pay me a visit while they were here in Los Angeles. As many of you know, John was the co-founder of the Shroud of Turin Research Project (STURP), the scientific team that performed the first in-depth examination of the Shroud in 1978. As such, I have known and worked with John for over 20 years. Rebecca and John founded and maintain the Turin Shroud Center of Colorado in Colorado Springs and the excellent Turin Shroud Center of Colorado Website. Both remain active in Shroud research today. I hope to include some of their recent work on this website in the near future. I am pleased to announce that the "Tours To Turin" page of this site (accessible from the "Shroud Exhibitions" page) has been updated to include many more tours to the upcoming year 2000 Shroud Exhibition. A wide variety of tours are now being offered by several professional travel organizations and more will be included on this page in the near future. This should answer the many questions I have received over the last few months from website viewers asking for expanded tour information. 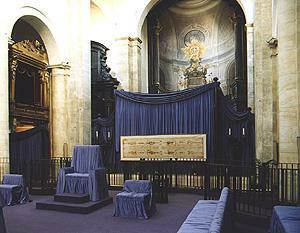 In 1998, the Turin authorities required visitors to make advance reservations to see the Shroud during its eight week exhibition. To simplify the procedure, they created a special form on their website that allowed viewers to make their own reservations directly over the Internet. Last year, this was not activated until January. Although I have not heard any official word from Turin as yet, I expect a similar procedure will be instituted for the year 2000 exhibition. As soon as any information becomes available we will post it on the website. "The Shroud," a new play by Michael Kassin, will be presented soon by the West Coast Ensemble, at 522 N. La Brea Avenue in Los Angeles. Previews for the production are on October 26, 27 and 28 at 8:00 pm and all seats are $15.00. The play officially opens Friday, October 29 at 8:00 pm and all seats are $25.00, including a gala reception. The play runs through December 19, 1999 with performances on Friday and Saturday at 8:00 pm and on Sunday at 3:00 pm. General Admission is $20.00, seniors/students/union $18.00 and groups of 10 or more $15.00. For reservations call 323-525-0022. For other information call 323-436-0066. Although I generally don't promote fictional works about the Shroud on this website, I am including this play because of the level of accuracy the author has incorporated into the text itself. I was asked to serve as technical adviser to both the author and the director, who have made every effort to ensure all references to the Shroud are totally accurate within the context of the story. We are slowly starting to tackle the massive backlog of new material accumulated over the last few months. Rather than attempt a large, one-time update, we are instead planning a series of smaller updates until we get caught up, and this one is the first. I thank all of you for your extraordinary patience and continued support as we work to overcome these growing pains. We truly have some amazing things planned for the near future, so please keep watching. As always, I am pleased to announce that the latest issue (#49) of the British Society for the Turin Shroud (BSTS) Newsletter has been added to the British Society for the Turin Shroud page of this site. I am even more pleased to announce that from this issue forward, it will be presented in the Adobe Acrobat (.pdf format) . This will allow viewers to see the newsletter exactly as it printed, including all photographs and illustrations. It also greatly reduces the production time necessary to put the newsletter online. Viewing Acrobat files requires having the free Acrobat Reader software installed in your computer. For more information and a link to download the free software, read An Important Word About Formats on the "Shroud Library" page of this site. (Sorry. Link no longer available). On June 19, 1999, the Vatican officially announced the retirement of Cardinal Giovanni Saldarini because of poor health. He left his post as Archbishop of Turin and Pontifical Custodian of the Shroud on September 5, 1999. His successor is Archbishop Saverino Poletto, former bishop of the Diocese of Asti, the birthplace of Secondo Pia. The 100th anniversary of Pia's first photograph of the Shroud in 1998 was cause for a major celebration in Asti. We send our best wishes for renewed health to Cardinal Saldarini and extend a warm welcome to Archbishop Poletto in his new appointment. The website continues to draw visitors from around the world, now averaging visits from 75 different countries per week! I have recently added three new entries to the "List of Countries That Have Visited This Website" page, which now includes 140 countries. Our most recent additions are first visits from Swaziland, Tanzania and Uzbekistan. I would like to welcome our new viewers to the website and thank all of you for your continued participation and encouragement. A somewhat belated congratulations are due to Simona and Maurizio Marinelli for the birth of their second daughter, Alessia, on June 28, 1999. Maurizio is a noted Shroud scholar and author, a member of Collegamento pro Sindone in Rome, and the webmaster of the excellent Collegamento pro Sindone Website. Simona handles the translation duties for Maurizio and the organization. Congratulations are also sent to Alessia's proud aunt, Emanuela Marinelli. A similar note of congratulations is also due to Mark Guscin and his wife Rocío, for the birth of their new daughter Catherine on September 27, 1999. Mark is an author, historian and linguist and member of the Centro Espa�ol de Sindonolog�a (CES), the organization that does the primary research on the Sudarium of Oviedo. He is also responsible for the multiple-language translations on the excellent Centro Espa�ol de Sindonolog�a Website. It has been over two months since the last update to the website and much has transpired. As I mentioned in July, we were in the initial stages of forming Friends of Shroud.com, a non-profit organization dedicated to supporting this website. I am very pleased to report that the organization has now been incorporated in the state of Texas, thanks primarily to the efforts of Michael Minor, who will also act as Secretary and agent for the corporation. 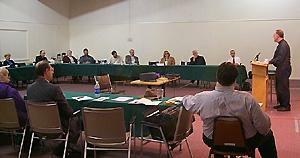 Other members of the board include Richard Orareo, Isabel Piczek, Dr. Warren Grundfest and myself. We are all very excited about the prospects this new organization provides and have some very exciting plans for the near future. The first visible evidence of the organization is the new "Friends of Shroud.com" page of the website, which is now online. In this, its debut, you will find a message from the Public Relations Committee of the organization, headed by Kate and Bill Kelly, who are also founding members. Make sure you click on the above link and read the first message from Kate and Bill. The page also includes the detailed list of the purposes of Friends of Shroud.com taken directly from our Articles of Incorporation. The new page will be updated in a manner similar to this one, with a posting date included for each item and the latest article always at the top of the page. The page will also include an Official Honor Roll of Contributors and a quarterly financial report detailing all expenses and disbursements. I am deeply grateful to Kate and Bill for their efforts on behalf of the organization up until now, and look forward to their long term involvement in their new official capacity as joint Chairpersons of the Public Relations Committee. Their enthusiasm and their wealth of great ideas reinforce my belief that the website is well on the road to becoming self-sufficient. Coming soon is information on how you can personally support the website and truly participate in keeping it online. Contributors can look forward to receiving special gifts for their participation, and everyone can look forward to some very special offers available exclusively from Friends of Shroud.com. Check the page regularly so you can stay informed on the exciting things being planned for this great new organization. As I mentioned above, the last few months have been very busy here. That is why this update is a rather small one. Yet in the ensuing time, we have received a massive amount of new Shroud materials and information and Paul Melograno and I are now rolling up our sleeves to get the information online. Included in upcoming updates will be the long overdue full report on the Richmond Conference, with the complete text of a number of the presentations made during the event. Also coming is the latest edition of the British Society for the Turin Shroud (BSTS) Newsletter, a detailed report on the recent paper dealing with the pollens found on the Shroud, a large number of new links, more scientific papers from the 1997 Dallas Shroud Meeting and the 1998 Turin Symposium, a new page featuring Richard Orareo's beautiful Boston Collection of Shroud Art and lots of other important Shroud news. I appreciate your patience in waiting so long for this information and hope the steps we are now taking to increase our responsiveness will make the wait worthwhile. Keep watching. We're just getting started! I am sure that viewers who visit this website on a regular basis have noticed a steady decline in the frequency of site updates over the last year or so. This has not been caused by a lack of interest on my part, but by the major demands put on my time as the website has grown and flourished. In recent months, I have come to realize that I have become the major obstacle in keeping the site up to date. What began as a "spare time" commitment on my part has become a fullfledged, full time job. The responsibilities of maintaining the site, corresponding with hundreds of viewers, reviewing submitted materials and staying abreast of developments in the world of the Shroud of Turin have taken their toll on my efficiency. As many of you know, I have been doing this work primarily by myself, with help from my expert friend and associate, Paul Melograno, when my budget could afford his services. Frankly, as the site has grown in scale and viewership, I have become woefully inadequate at meeting my own standards of production. The value of the Internet is in its ability to communicate on a global scale almost instantaneously. Yet the frequency of updates to the website has declined from almost daily just two years ago, to less than monthly today. This is little better than the publications that put out a monthly printed issue. As my responsiveness decreased and the website grew, it gradually began losing those very qualities that were at the heart of my original vision for it. Another growing concern was what would happen to the site should I become ill or unable to continue the work for some reason. (Don't worry, I'm feeling fine and have no intentions of quitting). I do, after all, have a full time scientific imaging business with clients who also depend on my services. All of these factors have led me to step back and reevaluate the website and how its goals can best be achieved. Without question, the work has become very important and must proceed, but without doubt, some changes are necessary to ensure it continues its role as the foremost Shroud resource on the Internet. With that in mind, I am truly pleased to announce that a new, non-profit organization called "Friends of Shroud.com" is now being formed. Its officers, board of directors and volunteers will take on the task of generating support and providing guidance in helping the Shroud of Turin Website meet its goals more effectively. It will underwrite the server and bandwidth costs that now total several thousand dollars a year and continue to rise as the site grows and viewers increase. It will free us to include many more images and photographs than we have in the past, like a new page featuring Richard Orareo's Boston Collection already in production. It will allow us to contract Paul Melograno as the full time webmaster of the site, freeing me to function more efficiently as Editor and Publisher. It will allow for the addition of a website search engine, making it easier for viewers to find specific information on the rapidly-growing site. It wilI even allow for the "webcasting" of live pictures and audio from upcoming Shroud conferences to everyone in the world in real time. And it will return the responsiveness to the website which was essential from the earliest days of its inception. Most importantly, it will allow us to keep the website totally free of banner advertising and allow viewers free access to the website in perpetuity. I was very pleased to make this announcement publicly at last month's Richmond Shroud Conference and am happy to report that the paperwork is now being prepared to make this organization a reality. Obviously, you will be hearing more about "Friends of Shroud.com" in the very near future, including how you can become a participant and help guide this website into the 21st century. Soon, "Friends of Shroud.com" will even have its own page on this site. So please continue to visit regularly and keep watching. Good things are on the way. Due to the time required to create this new organization and my need to complete several large client projects, the next website update is being postponed until late August. It will include a full report on the June 1999 Richmond Shroud Conference, including a list of all of the presenters, their topics and the full text of many of their papers. Also in the next update are many new Shroud Internet links, news of upcoming conferences and much more. If you are one of the many viewers who have submitted materials to the website or written me e-mails and received no response, I continue to ask for your patience and indulgence. I average over 30 e-mails a day and am unable to answer very promptly. "Friends of Shroud.com" will ultimately allow for a much greater level of responsiveness and a more timely availability of Shroud news and information on the website itself, which was the whole idea in the first place. Thank you all for your continued support and participation. Viewers will notice that the two articles by Dr. Avinoam Danin listed on the "Scientific Papers & Articles" page and the "Shroud Library" page of this website have been labeled "Temporarily Unavailable" and the links removed. This has been done at the written request of Dr. Danin and Dr. Alan Whanger, to allow for the comprehensive paper on Shroud pollens they co-authored to be published in a peer reviewed botany journal in the near future. Although the removed articles appeared elsewhere in print as far back as two years ago, I am respecting the wishes of the authors and journal editor and removing the links temporarily from this site. They will be promptly restored as soon as the journal issue is published. The last few weeks have been extremely hectic, not only for me, but for most of the researchers planning to attend the upcoming Richmond Conference starting June 18th. Still, I wanted to make this a memorable update and have worked long hours to get everything "caught up." I would particularly like to thank Paul Melograno for his able assistance in getting many of the papers in this update completed. I am very pleased to announce that you will now find ten new papers and a number of new pages on the website! Yet even with all this effort, we have run out of time and still have a large amount of material that should be on the site, but just won't get there this time. Most noticably absent is an update to the "Links To More Information" page, for which I have many new links to include and which will get top priority in the next update. If you submitted materials to me and are still waiting to see them show up on the website, I hope they made it into today's update. If they are still not there, do not give up on me. I will include them in the next update, scheduled for late July 1999. I apologize to everyone who has waited longer than they should have to see their materials go online. Frankly, there are some new things in the planning stages that should alleviate this problem in the future... but I am getting ahead of myself. More on that after Richmond! As I will be attending the Richmond conference, I will not be able to answer e-mails or process orders from the Website Store. If you chose to send me e-mail or place an order, I will respond as promptly as possible once I return. Your patience is appreciated. The Shroud of Turin Center of Richmond, Virginia, is sponsoring an International Shroud Conference from June 18 through June 20, 1999. (For detailed information about the conference, scroll down this page and see the articles posted on January 21 and March 21, 1999). Many important Shroud researchers from around the world are planning to attend the meeting, which is open to the public. For additional information you can also visit the Richmond Conference Website at http://members.aol.com/turin99/shroud.htm. (Sorry. Link no longer available). Many researchers will present their latest work and a number of important announcements will be made at the conference, including one that has direct bearing on this website. Of course, a new "1999 Richmond Conference" page has already been added to the site, but it is still under construction. Expect the page to eventually contain a complete report on the event (including photographs), along with reprints of many of the papers presented. I will be attending the entire conference, both to cover it for the website and to present an updated version of my paper titled, "The Role of the Internet in the Future of Shroud Research." Watch for the completion of this page in late July 1999. "In collaboration with the Basilica of S. Croce in Gerusalemme, we are organising an International Convention entitled: "Dalla Passione alla Resurrezione, 2000 anni di silenziosa testimonianza" ("From the Passion to the Resurrection, 2000 years of silent testimony") in Rome from May 6th to 9th of this year." Unfortunately, the information arrived too late to be included in the April 19th update. Frankly, I was a bit surprised at the short notice we were given of the event and frustrated that I could not provide more timely information to website viewers. With such short notice, the conference schedule left one little time to register and obtain an airline ticket, let alone write and submit a paper to become a participant. As such, actual participation in the international event was limited mostly to those researchers who live in Italy, particularly the northern region surrounding Turin, with only a few exceptions. Still, I am pleased to include a new page accessible via the "Shroud Conferences & Symposia" page of this website titled The 1999 Rome Conference. It includes the names and topics of those who participated in the event. At this time they are only provided in the Italian language. Perhaps in the future the organizers can also provide me with an English language translation of the presentation titles. The Orvieto Worldwide Congress "Sindone 2000"
Amazingly, this beautiful castle has been turned into a modern, fully equipped conference center set in spectacular surroundings. The facility includes every important amenity required to conduct a professional conference. Expect this page to grow considerably over the next year as the conference approaches. The Biblical Archaelogy Review article recently published on this website, Debunking The Shroud: Made by Human Hands, written by Gary Vikan, continues to generate responses. The first of these is in the form of a previously unpublished personal letter written to Mr. Hershel Shanks, Editor of BAR, by Dr. Alan Whanger, noted Shroud researcher, in response to the Vikan article. Dr. Whanger's letter has now been added at the end of the original article. Another response came to the website in the form of an e-mail from Simon Dennington, Ph.D., a research chemist from Norway, who comments specifically on statements made in Walter McCrone's sidebar to the Vikan article. I have included his observations on the "Comments From Our Viewers" page of the site. My thanks to both gentlemen for their participation. I am pleased to announce that Dr. Leo Bazant-Hegemark, a Shroud researcher in Austria, recently made a field trip to Czechia to examine the previously unknown Shroud copy discovered there in January 1999. (To read the initial press release on this discovery, scroll down this page to the article posted March 21, 1999). Dr. Bazant was kind enough to send me a letter with details from his trip journal, along with a number of photographs of the hand painted cloth. A letter of authenticity signed by the Archbishop of Turin was also found with the copy, which was originally made in 1651. I am including excerpts from Dr. Bazant's letter (along with five color photographs), in an informal article that can be found on the "Scientific Papers & Articles" page of this site. It is titled Report on the Czechia Shroud Copy. My sincere thanks to Dr. Bazant for his kindness in sharing this information with us. Floral Images and Pollen Grains on the Shroud of Turin: An Interview with Dr. Alan Whanger and Dr. Avinoam Danin (.pdf format) [15k] by John C. Iannone. In this very recent article, John spent considerable time interviewing the researchers and then additional time allowing them to review his article for accuracy. This article provides excellent insight into some of the most important, current research being done on the Shroud. An appraisal of the mistakes made regarding the Shroud samples takin in 1988 - and a suggested way of putting these behind us by Ian Wilson The author's overview of the current state of Shroud research and his plea for cooperation within the Shroud research community. This paper was originally presented at the 1998 Turin Symposium. Comparitive Study of the Sudarium of Oviedo and the Shroud of Turin by G. Heras and D. Villalain (.pdf format) [69k] (English) Originally presented at the 1998 Turin Symposium and available in both English and Spanish versions. Negativity and the Shroud by M. Sue Benford, R.N., M.A. This article presents the author's perspective on the negativity aspect of the Shroud. It was previously published in The Holy Shroud Guild Newsletter, December 1997, pp. 4-5. Objections to the Shroud's Authenticity: The Radiocarbon Date by Prof. Daniel Scavone (.pdf format) [13k] The author's perspective on the Radiocarbon dating of the Shroud. Originally delivered at the Texas Medieval Association in 1993. The Origin of the Shroud of Turin From the Near East as Evidenced by Plant Images And By Pollen Grains by Dr. Avinoam Danin An Israeli botanical expert evaluates the plant and pollen evidence on the Shroud. This abstact was originally delivered at the 1998 Turin Symposium. Radiocarbon Dating The Shroud of Turin - The Nature Report by Remi Van Haelst (.pdf format) [94k] The author's newly updated response that scientifically and in great detail refutes the 1989 carbon dating article that appeared in the weekly journal "Nature." Remi's articles are usually quite technical and this one is no exception. Dating and Formation of the Shroud by Peter Carr (.pdf format) [73k] The author logically weighs and carefully evaluates the evidence for the Shroud's authenticity from his perspective as a scientist who spent many years in charge of technical laboratories carrying out research and development. The Shroud Center of Southern California, as part of their third anniversary celebration, will host a presentation by Isabel Piczek, world reknown monumental sacred artist and Shroud researcher, on Saturday, July 24, 1999, between 1:00 and 4:00 p.m. Isabel's presentation is titled, "The Veil of Veronica and the Shroud: Are they One and the Same?" Isabel's works of art appear in almost 500 buildings around the world, including the Vatican, and range from the stained-glass windows of the Guardian Angel Church in Las Vegas, Nevada, to the mosaics of the San Fernando Mission, in Los Angeles. She has been an active Shroud researcher for many years and also has a degree in physics. I am pleased to report that two more speakers have been added to the "Shroud Speakers Directory" page of the website. With the addition of our first speaker from outside the continental U.S., we can now claim to be an "international" directory. If your group or organization is looking for a speaker to make a Shroud presentation, check this page first. If you are a Shroud lecturer and are interested in being listed in the directory, see the "Obtaining a Listing" section of the page. I am pleased to announce that John Iannone, noted Shroud author and lecturer, will present a program titled, �The Shroud of Turin: The Case for Authenticity,� at the Corpus Christi Church in Portchester, New York, on Wednesday, June 23, 1999, from 7:30 - 9:00 p.m. The late Fr. Peter Rinaldi, co-founder and former Vice President of the Holy Shroud Guild, built a Shrine of the Holy Shroud in the Corpus Christi Church. The public should also be pleased to know that Richard Orareo, owner and curator of the Boston Collection, the largest collection of rare Shroud art in the world, is planning to exhibit the collection at the Corpus Christi Church on the same date. This private collection has rarely been available for public viewing, so viewers in the New York area might wish to take advantage of this opportunity. The website continues to draw visitors from around the world, now averaging visits from 60 different countries per week! I have recently added five new entries to the "List of Countries That Have Visited This Website" page, which now includes 137 countries. Our most recent additions are first visits from Burkina Faso, Christmas Island, Cuba, Ethiopia, Macedonia and Micronesia. In case you are not up-to-date in your geography, Burkina Faso is a landlocked country in Western Africa, formerly known as the Republic of Upper Volta. Christmas Island is a territory of Australia located about 224 miles (360 km) south of the island of Java, 870 miles (1,400 km) northwest of Australia. I would like to welcome our new viewers to the website and thank all of you for your continued participation and encouragement. At the end of 1998, the world of sindonology was buzzing about an article that appeared in the November/December 1998 issue of Biblical Archaeology Review (BAR) titled, Debunking The Shroud: Made by Human Hands, written by Gary Vikan. BAR, the respected publication of the Biblical Archaeology Society, included a sidebar with the article by Walter C. McCrone titled, The Shroud Painting Explained. The controversial article spawned a wide gamut of responses from the magazine's readers, as well as a response from Walter McCrone, which were printed in their Letters to the Editor column in a later issue. In addition, a number of other responses were submitted to BAR that were not published in the magazine, probably due to their length. One of these was an in-depth, collaborative response titled, Deconstructing the "Debunking" of the Shroud, authored by Prof. Dan Scavone, Prof. Karlheinz Dietz, John Markwardt, Mario Latendresse, Rev. Albert Dreisbach, Mark Guscin, Joseph Marino, Emanuela Marinelli and Gino Zaninotto. Another was a response titled, Comments on the Radiocarbon Dating of the Turin Shroud by Dr. Stephen Mattingly. These are also included at the end of the article and are published here for the first time. The original article, the sidebar, the Letters to the Editor and the previously unpublished responses have all been permanently added to the "Scientific Papers & Articles" page of this site. You can go directly to them by clicking on the title link in the paragraph above. I wish to thank all of the participants for giving me permission to reprint their materials on this website and allowing everyone to share in the fascinating exchange the article catalyzed. On Saturday, May 15, 1999, the Shroud Center of Southern California will celebrate its third anniversary with a program and slide presentation by Barrie Schwortz (host of this website and Documenting Photographer during the 1978 Shroud examination). In a program titled, "What is the Truth Regarding the Science of the Shroud?" he will provide a personal perspective on the scientific research done over the last 20 years and suggest what new research and technologies might be applied to study the Shroud in the next century. The slide presentation includes a behind-the-scenes look at the 1978 scientific examination. I am pleased to announce that the "Shroud Booklist" page of this website has been updated to include twelve additional Spanish language titles. I wish to thank my good friend José Manuel Portilla from Torreón Coah., México, for taking the time to find the titles and send them to me for inclusion on the booklist. And speaking of updating booklists, I have also updated the Books Available by Emanuela Marinelli section of the "Collegamento pro Sindone" page of this site to include the latest book by Emanuela Marinelli titled, O Sudario, published recently in Portuguese. My dear friend Emanuela's prolific contribution to Shroud research continues to grow. The "Religion & Philosophy" page of the website has been updated to include a recent article by Joseph G. Marino and M. Sue Benford, R.N., M.A. titled, The Shroud of Turin: Bridge Between Heaven and Earth? (.pdf format) [137k]. The file is in the Adobe Acrobat .pdf format recently adopted for use on this site. When I first read the paper, I felt it might be slightly confusing to some viewers, as it did not mention that heat and scorching had been effectively eliminated as Shroud image formation mechanisms by the UV fluorescence photography done in 1978. I appreciate the authors amending their paper to make note of this. I am pleased to announce the addition of another speaker to the new "Speakers Directory" page of the website. If you are interested in finding a qualified Shroud speaker for your group or organization, this is the place to look. And if you are a Shroud lecturer, you might want to obtain your own listing in the directory. See the page for more information. The "Links To More Information" page of this website has been updated to include a link to a new Shroud website presented in French by Montre-nous Ton Visage. One of the major Shroud organizations in France, it is devoted to all aspects of Shroud study including devotional, scientific and historical. It makes available a variety of audio-visual materials including a traveling exposition. This should be a welcome addition to those who have written me asking for something about the Shroud in French. Also, my thanks to webmaster Guillaume Bur for letting me know about his excellent website. He asked me to remind viewers that the site is new and still under construction and that he appreciates your patience as the site is developed. The "Research Registry" page of the website has been updated to include a set of rare, lifesize Shroud photographs, printed on linen, that are being offered for sale by their owner, Fr. Jesus Hernandez of Miami, Florida. Fr. Hernandez is returning to his native Argentina and is unable to take the museum mounted, framed under glass panels with him. Obtained from Turin circa 1980 with the assistance of Fr. Peter Rinaldi, the images were printed directly from Enrie's 1933 photographs. The listing includes a detailed description along with several photographs of the framed panels. Check local listings for exact time and channel in your time zone. This is a program worth watching (or seeing again). Author, Title, The Shroud of Turin Website, (http://www.shroud.com/"name of page".htm)*, date. Barrie M. Schwortz as the author. Bowker, Samuel T. "Cyberspace: Debate on Research Use"
(12 Sept. 1996): n.pag. On-line. Internet. 5 Oct. 1996. I also received some excellent information from website viewer Robert L. Marcum. He passed along a link to an article titled "How to Cite Information From the Internet and the World Wide Web" on the American Psychological Association's (APA) reference page. (Sorry. Link no longer available). It provides additional information and examples for citing materials retrieved from the Web. He stated that the APA is "one of the primary standards sources used by academic and commercial educational/scientific publishers in the United States. Proper Web citation is a very much evolving issue in commercial publishing." My thanks to Christine and Robert for taking the time to write and provide us with this information. Their participation is truly appreciated. I am very pleased to announce the addition of the new "Shroud Speakers Directory" page to the website. You will now find it one of the choices from the Main Menu. I have created this page in response to the many e-mail requests I regularly receive from groups and organizations looking for qualified individuals to speak on the Shroud of Turin. By consulting this directory, you will find listings for Shroud lecturers that include a short biography of each, a description of the topics they present, their geographic location, how to contact them directly and other pertinent information that will help you find the right speaker for your group. If you are a Shroud lecturer and would like to be included in the Directory, see the "Obtaining A Listing" section of the page for detailed instructions. Although the listings currently include only speakers from the U.S.A., I would like to see this page grow to include speakers from all around the world. All Shroud lecturers everywhere are invited to participate. For more than three years, every paper appearing on this website was available as a standard html page. However, converting scientific papers and articles that include scientific notation, formulas and other symbols into html code is time consuming and often results in less than complete accuracy. To alleviate the problem and make the addition of new papers to the website a simpler task, I am pleased to announce that we are adopting the Adobe Acrobat .pdf file format and will begin producing many of the papers with it. For those of you unfamiliar with Adobe Acrobat, it is a powerful document viewing software that is fast becoming the standard for distribution of written and visual materials over the Internet and on CD-ROM. The best news is that the Acrobat Reader software is FREE and is probably already on your computer. It is generally found as a plug-in or helper application in Netscape Navigator, Netscape Communicator and Microsoft Internet Explorer browsers. And it is completely compatible with either PC or Macintosh systems. Unfortunately, .pdf format files are not accessible using WebTV. One of the best features of this format is that you get to use a powerful document viewing tool right within your browser window, giving you much more control over the size and detail of your viewing. Acrobat allows you to zoom in on the document up to 800%, making it easy to read even the smallest text or symbols. And all you have to do is use your browser's "back" button to return to the website. Some documents contain searchable indexes and you can easily copy and paste any materials from the document you are viewing into your own paper. The only negative aspect of the format is that you have to wait for the entire file to load before you can view it. The largest of these takes less than a minute to load using a 28k modem and I have indicated the file size [in brackets] for each .pdf format file on the site. Full instructions for viewing Adobe Acrobat files on your computer can be found on the "Scientific Papers & Articles," the "Religion & Philosophy" and the "Website Library" pages of the site. Once installed, you will be able to open .pdf format files automatically, just like any other page on the Internet. The "Submission Requirements" page has also been updated to include appropriate instructions for those planning to submit materials for publication on this site. See the article below for a list of new papers added in this update that are in .pdf format. Many more papers are scheduled be added to the website soon. Watch for the next update in about two weeks. Three new articles have been added to the "Religion & Philosophy" page of the website. The first is by Rev. 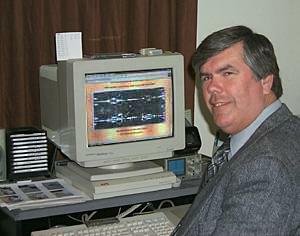 Albert "Kim" Dreisbach, Jr., founder of the Atlanta International Center for the Continuing Study of the Shroud of Turin (AICCSST) and is the full version of the paper he presented at the 1998 Turin Symposium. It can also be found listed on that page, as well as the "Website Library" page of this site. It is titled, The Shroud of Turin: Its Ecumenical Implications and provides us with Fr. Dreisbach's unique, articulate and well-qualified perspective on the ecumenical aspects of the Shroud and its significance today. The next article is by Russell Breault, founder of the Shroud of Turin Education Project, Inc. (STEP). Russ has been researching and lecturing on the Shroud for nearly 20 years. In his article "It's the Message That Matters" (.pdf format) [48k] he reminds the reader that the message of the Shroud is more important than the image itself. He explores the different points of view amongst Christians as they relate to the Shroud and concludes, "If Christian educators, Protestant and Catholic, can get beyond their bias and fears and focus on the message, the Shroud could be used in the way God may have intended, as a visual Gospel to a video and information age." The third article is What Does the Shroud of Turin Mean? (.pdf format) [80k] by website viewer Robert Perry, a writer and teacher on the modern spiritual path ("A Course In Miracles"). He is President and Founder of The Circle of Atonement, a non-profit spiritual teaching organization which serves students of "A Course In Miracles," and lives in Sedona, Arizona. In this article he shares his personal point of view on the significance of the Shroud and the meaning it has for him, but his conclusions should strike a chord with many viewers. Many more articles are scheduled be added to the website soon. Watch for the next update in about two weeks. "The DNA of God," a new book by Dr. Leoncio A. Garza-Valdes, is available now through the Website Bookstore page of this site, where it can be purchased directly from Amazon.com. Just click on the title to order. Several years ago the author examined some Shroud fibers and claimed they were coated with the same "bioplastic coating" that he first discovered on Mayan artifacts. He determined that its presence so distorts the carbon dating process that objects such as the Shroud are actually significantly older than they were thought to be. He also enlisted the aid of other experts to perform a controversial DNA analysis on blood samples from the Shroud and reported finding male human DNA segments. This book describes his work. I would also like to take this opportunity to remind you that you can go directly to Amazon.com from the "Website Store" page of this site, by clicking on the Direct Link at the top of the page. The Shroud of Turin Website receives a 5% commission for anything viewers purchase from Amazon.com, as long as you enter their website from this one. We earn a slightly higher commission from purchases made via the direct links to books or videos found in the "Website Store." In essence, your purchases help to support this website without costing you one cent extra. I am also very pleased to announce that many of the titles in the "Video Section" of the "Website Store" are now available for purchase via this website, directly from Amazon.com. A number of new videos have been added to the list, including some of the best programs produced in recent years and several classic Shroud documentaries. My thanks to website viewer Lewis Kapell for bringing this to my attention and stimulating me to update this page of the site. I was recently honored by a visit from David Rolfe, producer and director of the superb, and now-classic Shroud documentary, "The Silent Witness." Completed in 1977, it was the first in-depth film dedicated to the subject of the Shroud of Turin and won a British Academy Award in 1978. The film recreated in striking detail many important scenes from the Shroud's history, telling the story of the cloth in dramatic and accurate fashion. It was made with the cooperation of the Turin authorities and reflects the extent of Shroud knowledge circa 1977. Relatively difficult to obtain in recent years, the good news is that the film is now available on videotape directly from the distributor via the "Video Section" of the "Website Store." I have added another new entry to the "List of Countries That Have Visited This Website" page, which now includes 131 countries. Our most recent addition is a first visit from the Cocos (Keeling) Islands. This external territory of Australia consists of two tiny, isolated coral atolls 2,290 miles (3,685 km) west of Darwin in the Indian Ocean. I would like to welcome our new viewers to the website and thank all of you for your continued participation and encouragement. As you could see from today's update, we are starting to get caught up on some of the many papers and articles that have been waiting to go online for months. The next update will continue this trend. One of the most interesting articles coming in the next update is "Debunking the Shroud: Made by Human Hands," by Gary Vikan, that originally appeared in the December issue of Biblical Archaeology Review. In addition to the article, I will also reprint the Letters to the Editor that were published in the subsequent issue of the magazine. I will also include a letter drafted by a group of Shroud experts to challenge the conclusions of the article that has never been published. Keep watching, there's much more on the way! It has been two months since this website was last updated and no one has felt the frustration more than I have. I normally try to update the site at least monthly. However, in February we started production on the Shroud of Turin CD-ROM again, which had been on hold for the last few months, and this has consumed much of the time I would normally have devoted to the website. Of course, this also led to a large backlog of material that needed to be included in this update. The Shroud of Turin Center of Richmond, Virginia, sponsor of the upcoming International Shroud Conference in June 1999, now has their website online. (For detailed information about the conference, see the article below, posted January 21, 1999). The Center's website includes up-to-date information about this important meeting, including a reservation form for those who wish to attend (the conference is open to the public). This is a great opportunity to hear many of the top Shroud researchers in the world discuss their current work. The seating is limited, so make your reservations early. The website address is http://members.aol.com/turin99/shroud.htm. (Sorry. Link no longer available). Diana Fulbright, Director of Research for the Center and organizer of the conference, has asked me to remind website viewers that two extremely important panel discussions have been scheduled for Sunday afternoon, June 20, 1999. The first includes Ian Wilson, Isabel Piczek, Prof. Dan Scavone and Prof. Alan Adler on art and image formation. The second includes Dr. Alan Whanger, Dr. Keith Propp, Dr. Warren Grundfest and Peter Schumacher, developer of the VP-8 image analyzer, on image analysis techniques. These will conclude around 4:00 p.m. I should also mention that Richard Orareo's Boston Shroud Collection will be on display during the Conference. Richard's collection is the largest of its kind in the world, and in addition to many hundreds of books and publications, includes many extremely old and rare artworks depicting the Shroud through the centuries. Many of these have never been publicly displayed before, so this is a great opportunity to view a truly important private collection. Don't miss it! You may have noticed that we have not added any new papers to the website over the last few months. There are at least twenty papers currently waiting to be included on the site, some extending back to the June 1998 Turin Symposium. I offer my sincere apologies to the many researchers who submitted their work to me, only to have to seemingly wait "forever" to see them go online. Frankly, the process we were using to determine the publication rates for papers was too complex and awkward. This process has been revised and simplified and the new requirements and guidelines can now be found on the updated "Submission Requirements" page of the site. If you submitted a paper for publication, rest assured that it will be placed on the website in the near future. Along those same lines, I am pleased to announce that, through a kind gift from a website viewer, I am able to enlist the aid of Paul Melograno to work with me again in getting the backlog of papers completed and onto the website. The first of these will appear in the next update at the beginning of April. This week, EWTN will air a one hour special on "The Shroud and the Passion" with guest speaker John C. Iannone, President of the Holy Shroud Task Force and author of the 1998 book, "The Mystery of the Shroud of Turin: New Scientific Evidence," (available from the Website Bookstore page of this site). Hosted by Johnnette Benkovic, the program will review contemporary information on the Holy Shroud including pollen and floral images, blood testing and the matching of the words, weapons and wounds of the Passion. Since the program will be shown nationally, check your local listings for specific times and channels in your time zone. Those interested in purchasing a video tape of the program may do so directly from EWTN (The Abundant Life Program) by calling 1-800-558-5452. I am saddened to report that Rodger J. Apple, founder of the Albany Chapter Turin Shroud (ACTUS), died at his home in Albany, New York, on March 4, 1999, after a long illness. He is survived by his wife, Connie; his daughter and son-in-law, Edna Louise and Jonathan Morelli, Sr.; and grandchildren, Jonathan Jr., Joshua, Jason, Janice and Jillian Morelli. Rodger and ACTUS were featured on the "1998 Website News" page of this site recently, in an article posted December 17, 1998. "It was a truly ecumenical service, led by an Episcopal priest, assisted by a Catholic priest and a Hospice Chaplain, who is a woman. There was representation from the Albany Fire Department, who stood honor guard at the head of the casket during the entire wake. The Fraternal Order of Elks bade their farewell with a ritual of rememberance and condolence, another organization did a ritual of farewell using pine sprigs as a symbol. I spoke honoring and remembering Rodger's contribution to the American Shroud community and also read a letter of condolence from Rev. Albert "Kim" Dreisbach. Barbara Sullivan spoke about Rodger and Connie's strength during his long illness. Barbara sang the Ave Maria in the most beautiful and pure transcendent voice. The service was very emotionally moving; there were many tears shed and laughs shared. Following the burial there was a wonderful reception at the Apple home, food and drink, support and conversation, more laughter and tears. All of this in the presence of Rodger's collection of Shroud Books and photographs. Rodger will be truly missed by the "Shroud Crowd" who knew and loved him. His devotion and dedication to the apostolate of the Holy Shroud were noted and admired. He was a brave soul and at last, together with his heroes Fr. Peter (Rinaldi) and Fr. Adam (Otterbein), he now sees the Man of the Shroud, "face to face and not as a stranger." "I am pleased to tell you that your website has been chosen for inclusion in the BBC Education Web Guide. The Education Web Guide team were particularly impressed by the quality and educational content of your site and have placed a short review of it in our searchable database which can be accessed by Internet users everywhere. "The BBC Education Web Guide brings viewers the newest and best websites for learning at home, at school and at college and university. The sites included in the Guide have been hand-picked by a team of subject specialists and scrutinised for educational rigour by experts at BBC Education. The Guide provides a one-stop shop for the best educational resources on the Internet and is the focal point for all of the BBC's educational resources." You can visit the BBC Education Web Guide (where the Shroud of Turin Website was last week's "Pick of the Week") by clicking on this link.(Sorry. Link no longer available). I am pleased and honored at the inclusion of the website in this prestigious and important Internet resource and thank the BBC for their recognition. I have also included the Guide on the "Links To More Information" page of this website. I am always pleased at the number of website visitors from all over the world that write and offer their assistance in the production of this website. Frankly, I have been looking for some help, but preferred to find someone who was located nearby, to simplfy the logistics of production. Recently, I found just such a volunteer. 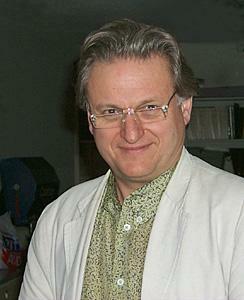 I am pleased to introduce Dennis Stayer, who is now assisting in the preparation of papers and articles for the site. Dennis has been an agent for the Internal Revenue Service for twenty-five years and, among other things, is active in his church (he produces their website) and also created the website for his daughter's softball team. With all these activities, he still has found time to work on the Shroud of Turin Website. (They say if you want something done, ask a busy man)! Seriously, his assistance is truly appreciated and will be of significant help in getting more materials onto the website in a timely fashion. Thanks Dennis! I would like to thank Emanuela Marinelli for providing several updates to the "Shroud Booklist" page of this site in recent months. Emanuela single-handedly keeps the list up-to-date and I failed to acknowledge her last contribution. Her dedicated efforts make the bibliography on this website the most comprehensive list available and a valuable resource for researchers worldwide. "A precise copy of the Turin Shroud has been found in the West Bohemian Benedictine Monastery at Broumov. Chech TV on Wednesday evening said the copy had been made in the middle of the 17th century and was exact, even including as copies the burn marks on the original. Monks recently found the copy under a Reliquium in their chapel. It was accompanied by a letter of authenticity from the Archbishop of Turin, dated 4 May 1651." No additional information is available as I write this, but I will post any new updates as I receive them. I have added two new entries to the "List of Countries That Have Visited This Website" page, which now includes 130 countries. Our most recent additions are first visits from Yemen and Macau. I would like to welcome our new viewers to the website and thank all of you for your continued participation and encouragement. It is 12:30 a.m. P.S.T., March 21, 1999 as I write this and once again I find that I have reached my deadline for this update without finishing everything I had hoped to include. Rather than delay this long overdue update even one more day, I will stop now and get what is finished online. So check back frequently over the next few weeks. You will find a number of smaller updates being added every week. Some of the items coming in the next few weeks include a reprint of a December article in Biblical Archaeology Review, titled, "Debunking the Shroud: Made by Human Hands," by Gary Vikan, along with the Letters to Editor the article generated and a detailed response from a group of noted Shroud experts. Also coming soon is the new "Shroud Speakers" page, where viewers will find a directory of Shroud researchers and their availability for Shroud lectures and presentations, worldwide. Also on the way is an article about "The Silent Witness," an excellent film about the Shroud produced in 1977 by David Rolfe, that he is now in the preliminary stages of updating. (It won a British Oscar in 1978 for Best Documentary). Also watch for new links, new videos, many new papers and much, much more. See you soon! It is absolutely amazing how three years can fly by so very quickly! Today, January 21, 1999, is the third anniversary of the Shroud of Turin Website. Three years ago today, I pushed the "send" button and put the site online, never expecting the overwhelming response the site would inspire from viewers around the world. Since that day, more than a quarter million viewers in 128 countries have visited this website, I have received over 5000 e-mails and needless to say, my life hasn't been the same since. One of the greatest unexpected benefits I have derived during this time is the personal interaction I enjoy with so many people around the world. From remote, tiny island countries to the largest nations on earth, from every major university in the world, from the U.S. Senate, the Pentagon and U.S. military bases worldwide, from NASA facilities like the Goddard, Johnson and Kennedy Space Centers and the Jet Propulsion Laboratories, from prestigious research organizations like Langley, Lawrence Livermore, Sandia and Los Alamos National laboratories, it has been an amazing journey. And an enlightening one. From a family that uses the website to enhance their religious studies to the high school class in Aberdeen, Scotland whose students used the site for their research project, from the kind woman in Florida who wrote me such a warm and wonderful letter that I had to send a copy to my mother, to the Carmelite Sister in Christchurch, New Zealand who regularly sends me her blessings, the website has truly had a major impact on my life. I am more convinced than ever that there are many, many people out there with a very strong interest in the Shroud of Turin. Not just those who view the Shroud as a symbol of their faith, but also those who regard it as a scientific enigma, challenging the best that near-21st century science can offer. I have tried to provide an intellectual, unbiased and intelligent approach to this website so that viewers can find what they are looking for, whatever their point of view. And your overwhelming response reinforces my committment to keep this website growing. You are my motivation and the reason this website is worth every minute of the long hours I spend working on it. And much more is planned for the future. This year I hope to get the long planned "Speakers Bureau" page of the website online to provide interested people worldwide with access to Shroud experts. Also, we are carefully examining the options available for including a Search Engine on the rapidly growing website that will allow viewers and researchers to quickly find the specific information they are interested in. And we soon will be including more papers from the June 1998 Turin Symposium and the November 1998 Dallas Meeting on the "Scientific Papers & Articles" page. Yet none of this would be possible (or even necessary), if it weren't for you, the viewers of this website. That is why the opening page reads, "Welcome to OUR Website." So I dedicate this, our Third Anniversary Update, to all of you and thank you for your continued patronage and participation. And most importantly, I thank you for changing my life. I hope that in some small way, I can touch you the way you have touched me. This update includes many pages so I am including this Table of Contents Navigator to make sure you don't miss any of the new items. Just click on the link to go to the article. You can also scroll through the page in the usual manner. 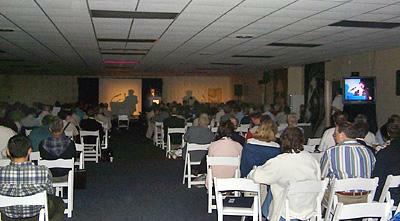 The Shroud of Turin Center of Richmond, Virginia, is hosting a conference with widespread United States and international participation in June, 1999. The conference is scheduled for June 18-20 and attendance is open to all. The theme of the conference is "Multidisciplinary Investigation of an Enigma," and the focus is new research. You are encouraged to register by May 15, as seating capacity is limited and a large turnout is expected. Attendees will have an opportunity to hear presentations made by many of the top Shroud researchers in the world. A partial list of researchers who will present papers includes Dr. August Accetta, Dr. Alan Adler, Rev. Frederick Brinkmann, Rev. Albert Dreisbach, Dr. Warren Grundfest, Mark Guscin, Prof. Gary Habermas, Prof. John Jackson, Rebecca Jackson, Prof. Gilbert Lavoie, Prof. Emanuela Marinelli, Rex Morgan, Isabel Piczek, Prof. Daniel Scavone, Barrie Schwortz, Dr. Alan Whanger, Mary Whanger, Ian Wilson and Dr. Frederick Zugibe. For more information about the Center, see their recently updated listing on the "Shroud Centers & Organizations" page of this site. You can also check our their website at www.members.aol.com/turin99/shroud.htm. (Sorry. Link no longer available). During the last three years as I built this website, I often had to make difficult decisions about what information to include and what information to exclude from this site. In my effort to promote credible scientific knowledge of the Shroud, I chose to minimize those articles that dealt with the theologic or philosophic questions and focus more on hard science. Yet no resource that claims to provide a balanced point of view can avoid the inevitable spiritual and philosophic questions raised by the Shroud of Turin. To that end, I have created a new page called "Religion & Philosophy." It will provide a logical place to publish articles that deal with these issues and make them available for those who are interested. It will also allow me to continue to provide the broadest range of Shroud information to everyone with an interest in the subject, and from every point of view. As this website continues to grow, I realize that it is becoming more and more difficult to find the specific Shroud information you are looking for. As I mentioned in my introduction to this update, I am researching various solutions and hope to include a high quality Search Engine on the website soon. Until then however, I urge viewers to use the "Shroud Library" page of the site. It is accessible from the "Main Menu" page or from the Library links that are found at the bottom of every major website page (including this one). Once you get there, you will find that it quickly links you to all of the major resource pages of this site. If you are looking for specific information, the "Shroud Library" is the best place to start. During the public exhibition of the Shroud in 1998, this website received many e-mails asking for information about professional tours going to Turin during the event. In an effort to provide the viewers of this site with the most complete information, I included a listing of professional travel organizations that were planning tours during the exhibition. The response was very positive and travel agents and travelers alike reported that the tours were a complete success. We are including this feature again for the Year 2000 Exhibition by creating a new page called "Tours To Turin," now accessible from the "Shroud Exhibitions" page of this site. One professional travel organization has already listed their tours and more will be added soon. This time, we are offering an expanded listing to professional travel organizations, which can include graphics, photographs, more detailed information on tours and much more. The listings will run until the close of the Year 2000 Exhibition and will include free updates when needed. If you are a professional travel organization planning to make tours available during the Year 2000 exhibition and are interested in being included on this page, contact this website for more information. I am pleased to include the most recent photograph by my friend, Aldo Guerreschi, of the Cathedral in Turin as it appears to visitors today. The Shroud is stored in its new permanent display case behind the royal blue curtains. In front of the curtains, visitors to the Cathedral view a lifesize photograph of the Shroud taken by Aldo. My thanks not only to Aldo for allowing us to use his photograph, but also to Maurizio Marinelli for the digital scan of the image. I am pleased to announce that the "Index to the Collegamento pro Sindone" page of this website has been updated to include all listings from 1998. The Index is accessible directly from the "Collegamento pro Sindone" page of this site. The publication is a major resource of Shroud papers and articles in the Italian language. My thanks as always, to Maurizio and Emanuela Marinelli for providing the update. The Index allows you to review all of the articles that have appeared in their publication since it was first published in 1985 and it is provided to viewers both alphabetically by author and chronologically, by year. I am very proud to announce that the Shroud of Turin Website has been selected for inclusion in the March issue of Software 2010's World OnLine Digest (WOLD). The WOLD is a monthly CD-ROM publication that gathers the best websites and software available on the Internet and provides them to their subscribers on CD-ROM. The service is designed particularly for those without any type of Internet access who otherwise could never view the web, and families who are concerned about their children accessing objectionable content. Interestingly, 86% of the subscribers are not on the Internet. Many live in either rural or remote areas where access is not available. The company serves an international market with subscribers in the United States, Canada, the U.K., Northern Europe and Australia. I am pleased to participate in the World OnLine Digest and make available Shroud of Turin information to those who would otherwise be unable to access it. For more detailed information, visit the Software 2010 Website. (Sorry. Page no longer available). In my recent Overview of American Sindonology (posted on the "1998 Website News" page on October 26, 1998), I mentioned that there were many groups, organizations and individuals in the United States that had dedicated years of time and effort to further the research and knowledge of the Shroud of Turin. One such organization worthy of mention is the Shroud of Turin Education Project (STEP), founded by Russell A. Breault in 1997. Russell Breault has been lecturing on the Shroud for many years. An expert communicator (he is currently a vice-president at a major cable television network), Russell has taken on the task of educating young people about the Shroud. To that end, he founded the Shroud of Turin Education Project (STEP), an organization dedicated to that task. Russ also produces the excellent Shroud of Turin Education Project Website, which was recently redesigned and updated with background information about the Shroud and a complete overview of STEP's goals. The site also demonstrates Russ' method for teaching the different branches of serious Shroud research to high school and college students. His goal is to lay the groundwork for stimulating the young minds that will become the sindonologists of the future. If you are an educator and are interested in how you might integrate the study of the Shroud of Turin into your lesson plan or, if you are a student with the goal of writing a report or doing a research paper on the Shroud, you should visit the STEP Website for ideas. Russ even includes a long list of possible topics for Shroud research projects. This thoughtfully produced site is well worth a visit and can also be accessed via the "Links To More Information" page of this site. I am pleased to announce that the Christian Book Club of Washington, D.C., has chosen the "Man In Sepia" Limited Edition Original Digital Print as a special selection to be included in their March mailing. The club, established in 1948, is the oldest in the United States and has approximately 50,000 members. 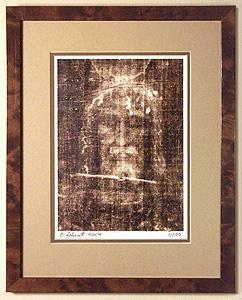 The "Man In Sepia" was issued to help raise funds to complete the production of the Shroud of Turin CD-ROM and is the first fine art presentation print ever made from any of the photographs in the Barrie M. Schwortz Collection. The signed and numbered edition is limited to only 500 prints and is available from the "Website Store" page of this site. If you are interested in obtaining a print, order promptly to reserve a low number. For a better look at the "Man In Sepia," see the large photograph at the "Website Store." On New Year's Eve I had the pleasure of speaking on the telephone with a childhood friend I hadn't spoken to in over 35 years. The quiet, studious kid I knew in 1964 is now a Ph.D. and far less shy. As we discussed my work on the website, he was quick to point out that I might qualify for certain grants available to individuals. As I often do, I had pointed out to him that I was not a non-profit organization but an individual, and preferred to remain that way. So, based on his urgings, I am now openly looking for someone out there who might work with me in finding and writing an appropriate grant. I am hopeful that I can find a grant that would enable me to expand this website and manage it better, while also completing the Shroud of Turin CD-ROM project. If you are an experienced grant writer and have some time available to discuss it with me, please send me an e-mail at bschwortz@shroud.com. Also, I would be remiss if I didn't acknowledge and thank my old friend Al DeRoy of Pittsburgh, Pennsylvania, for his excellent suggestion. On December 22, 1998, the Learning Channel aired "In Pursuit of the Shroud," an excellent documentary produced and directed by Reuben Aaronson, award-winning cinematographer. (For a description of the program, see the original article posted on the "1998 Website News" page on December 17, 1998). The response to the program was overwhelming. The number of new visitors to the site more than doubled for the week and I received over 250 e-mails in three days. Many viewers wrote to ask where they could obtain a copy of the program, so I am pleased to announce that I have added the program to the Videos section of the "Website Store" page. The listing includes a toll free number (U.S.) where viewers may order a VHS copy directly from the Discovery Channel video service. Also just added to the "Website Bookstore" is a new Spanish language book titled, "El Misterio de la Sábana Santa, Imagen de la Resurrección" by Jorge E. Grau Carreño and Guillermo Ponzinibbio. The listing includes a link for getting more information and ordering a copy directly from the publisher. The book has also been added to the "Shroud Booklist" page of this site. On November 6, 7 and 8, 1998, there was a landmark Shroud meeting held at the Catholic Conference Information Center in Dallas, Texas. Including researchers from around the United States, the meeting made significant strides in advancing the spirit of cooperation and communication amongst the various Shroud groups and organizations here in America. A number of important and exciting new avenues of research were introduced at the meeting, with presentations made by experts both new to and experienced in Shroud research. A complete report on the Dallas Meeting of American Sindonology has now been added to the "Shroud Conferences & Symposiums" page of this website. The article includes a complete list of every presenter, along with a brief synopsis of each presentation and a short biography and photo of each researcher. It is quite possible that this meeting will come to represent a significant moment in the unification of American Shroud research. According to many of the participants, it was "the best meeting held on American soil in a long, long time." Watch for inclusion of a number of the presentations from the meeting on this website in the future.